As you know, I’ve been searching for new music for a while, and although I have found some, I had to applaud Paul Ryan’s account of the difference in his and Mitt Romney’s taste in music. He said that he hears Mitt’s music on hotel elevators, while his iPod goes from AC/DC to Zeppelin. Yes! But it is funny that the media hail this as evidence of the “younger generation.” Paul Ryan is 42, not 24, and Led Zeppelin was a huge hit before even I was old enough to listen to them. I guess politicians are so busy that they’re a decade or so behind in cultural happenings. 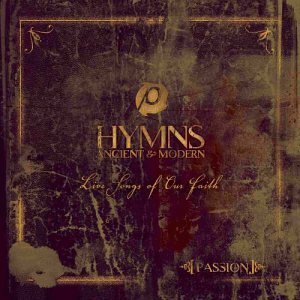 Far on the other side of the musical galaxy, I recently ordered Hymns Ancient and Modern, by Passion, with an Amazon gift card that Michael gave me for my birthday. Passion seems to be an assembly of individual artists, rather than an actual group, which gave me an opportunity to hear several people I thought I didn’t know. Turns out that I have already heard most of these arrangements in our most excellent church, so they were very familiar. I originally found the CD while looking for the Matt Redman version of “Here Is Love, Vast as the Ocean,” which our church had sung that Sunday. When our worship leader did it, the song had an Oh Brother, Where Art Thou? flavor, but imagine my surprise when Matt Redman turned out to be a Brit! He sang, “Here is love, vahst as the ocean,” and I thought, “Oh, no! It’s ‘sing along with Downton Abbey!’” However, I still love the song and am growing very fond of the entire CD, which also features the David Crowder Band, Chris Tomlin (already a fave), Christy Nockels, and others. One interesting feature is that they recite “Phos Hilaron,” a hymn dating back almost to the time of Christ. Since we do not know the original tune, they have a big group of people, including children, reading out the words, followed by a musical adaptation by Chris Tomlin. Very affecting. Until Paul Ryan posts his playlist on the internet, I guess I’ll go dig up some old tunes in the CD cabinet. Or, hey! I forgot that we got our turntable back. Maybe I’ll flip through those old vinyl LPs. The Brothers Grimm could not be grimmer, but it was definitely splendid. Two orphans rescued from London’s dark streets, only to land in a different kind of darkness. One sad little rich girl, the only child of her parent’s five children left living, wishes for a different life and gets her wish. A puppeteer whose talent goes beyond human ability, the witch who controls him, and her most treasured possession that is burning her to death. Since A Drowned Maiden’s Hair, Newbery Award winner Laura Amy Schlitz has shown herself to be a master of the gothic mystery. Here, she spins a terrifying tale in which all of the characters are longing for light and freedom. For anyone with a night light aged ten through adult. David went out today and picked every last habanero, red chili pepper, and jalapeño left in the garden. A co-worker who hails from New Orleans had told me that you could cut them up and freeze them beautifully. I think that NOLA folks drink in this knowledge with their mother’s milk. I wonder what those of us who were bottle-fed drink in? 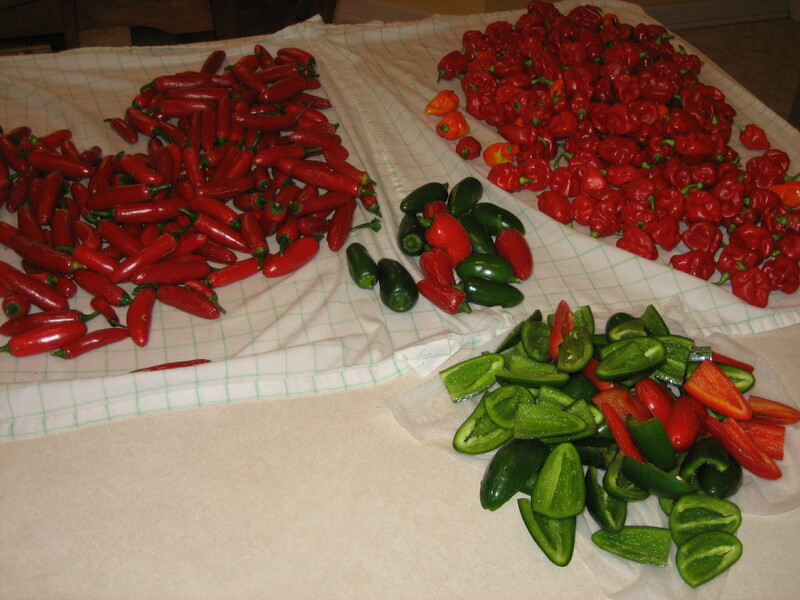 Cut the ends off the peppers, slice in half lengthwise, and clean out the seeds. Gloves are essential here! Cook the sausage in a skillet, crumbling as it cooks, until all pink is gone. Mix the sausage and the cream cheese together in a bowl. Add remaining cheeses and mix thoroughly. 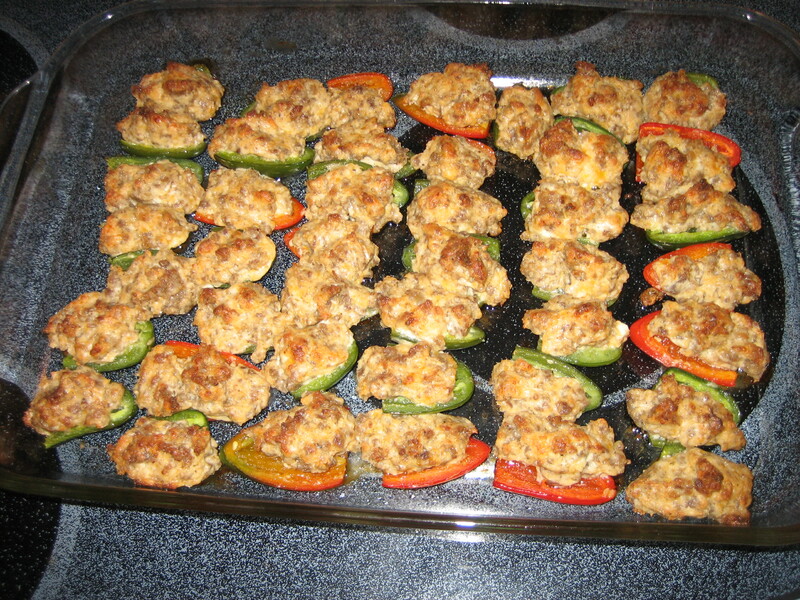 Place a spoonful of the mixture into each pepper half and arrange the peppers in a large baking dish. Bake at 425 degrees for 18-20 minutes. Cool slightly before serving. These are great dipped in ranch dressing, and I like to make up the dressing from the packet for a nice, fresh taste. If you’re worried about the nutritional value, each pepper has about a thousand calories and a billion grams of fat. Double that if you use the dressing. In Holy the Firm, the brilliant writer Annie Dillard relates her experience when she was asked to pick up the win e for communion. As she bicycles home with the wine in her backpack, she feels that God Almighty is radiating through her, and everything around her glows with new and deeper meaning. When my husband asked me to pick up the communion supplies for church this morning, I realized that I had never done that before. So, tonight after work, I dutifully made my way to the Wal-Mart juice aisle, along with several other shoppers trying to work their way around an employee restocking the shelves. I had been told that Great Value brand was alright, so I set out to procure this vintage. Unfortunately, I could not see GV grape; however, there was plenty of Cran-Grape. Would the congregation notice if they had Cran-Grape juice? Were grapes holier than cranberries? I decided that they were, since the Bible specifically mentions grapes, but I don’t think I’ve ever seen cranberries in scripture. I did find some Great Value grape juice, but it said “No Sugar Added.” Was that normal for grape juice, or was it diet? People would notice diet grape juice. 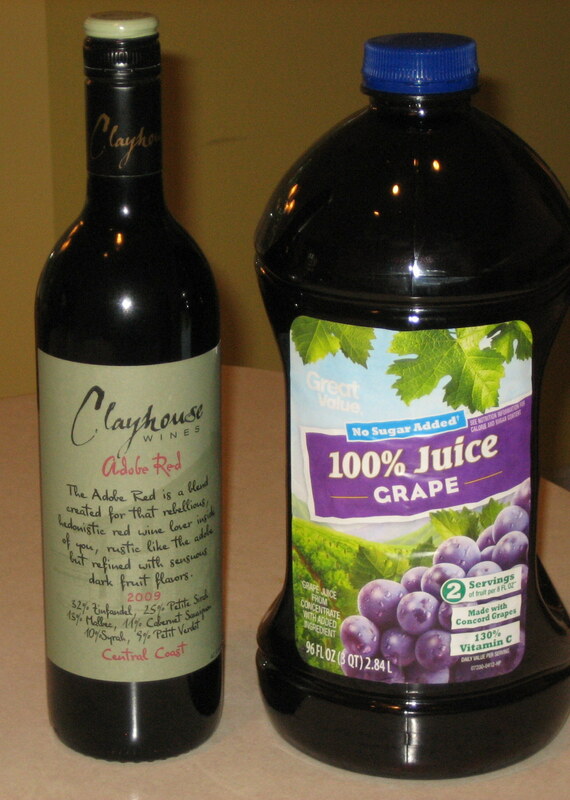 I checked the Welch’s label for comparison, since Welch’s is the sine qua non of grape juice. It did not contain added sugar, so I plopped the GV juice into my cart, on through the cash register, and out to my PT Cruiser. It did not glow. It did not radiate. The other drivers on the road were just as annoying as ever. Now, I do not claim to be as spiritual or mystical as Annie Dillard, but yeah, it was just not the same experience. Perhaps I should have ridden a bicycle. Chances were very good that I would enjoy Rebecca Stead’s new middle-grade novel, Liar & Spy, since her earlier novel, When You Reach Me, won the Newbery Medal in 2010— and furthermore, was outstanding. The two qualities do not always go together, and we children’s librarians are extremely opinionated about these things. You will always find us logging onto the webcast early one January Monday morning, eager to be the first to hear the new winners of the ALA children’s media awards. 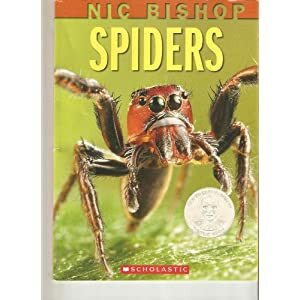 If we agree, as we did with When You Reach Me, you will hear us squealing with delight, but if we don’t, we will immediately shred the entire Newbery Committee. As a matter of fact, my colleague Danielle, who recently left to have a baby, has promised to come to work next January, baby on hip, to watch the webcast with me. Yes, we are that nerdy. However, the Newbery Committee has my complete permission to choose Liar & Spy this year. Ms. Stead has managed to deal with many serious issues in a voice that remains true to a twelve-year-old boy. Georges (“the s is silent”) and his parents have had to move away from their house to an apartment nearby when his architect father loses his job. He overhears his mom saying that she can pick up double shifts as a nurse at the hospital, and now he leaves messages for her on his night table using Scrabble tiles. His strange new neighbors are a homeschooled brother and sister, Safer and Candy, who live upstairs. Safer pulls Georges into a spy club immediately, which is both fascinating and scary, and in the meantime, Georges is dealing with some serious bullying in his middle school class. Rebecca Stead has produced that special jewel in children’s publishing: a story with genuine literary value that will also be a great favorite with middle-grade children. Highly recommended. Disclosure: I read a publisher’s hardcover gift copy that was given to the library system. The extended quote was taken from page 111 of this copy. The gift will be added to the collection, joining many other copies that were purchased. Opinions expressed are solely my own. Remember when Mr. Whipple squeezed the Charmin? We all agreed to believe that people would buy “bathroom tissue” that was soft because they were going to take it home to blow their noses or remove their makeup. Nowadays, I won’t buy Charmin—not that I ever did because it is so expensive. I do not want to see a huge, red Mama Bear peering into Junior’s undershorts and jumping back in shock. I absolutely do not want to see a huge, red Papa Bear playing X-Box with bits of toilet paper stuck all over his wiggling backside. And “Enjoy the go”? Is this greeting soon to replace “Have a nice day”? I suppose it all started with feminine hygiene products. Many men—my father among them— were disgusted that commercials were now demonstrating the features of one brand over another, but you wouldn’t know what they were for if you were a young child. The lab technician would pour a scientific-looking glass beaker of blue liquid onto two pads stuck to a board. This was obviously just a science experiment, since there are no known human by-products that are blue, so we wouldn’t have to think about reality too hard. Then here comes another blue product, this one for older men. I must say that my favorite of these commercials is one from a few years ago that takes place in a middle-class subdivision where dozens of fat, bald, middle-aged men come bursting out their front doors, bounding to the street to high-five one another over the picket fences. It just makes me laugh. This effort is so much easier to stomach than the gray-reducing hair product where the older man keeps picking up this younger woman and carrying her around the house while she kicks and giggles. Do younger women who date older men need to be picked up and carried? Is this a Daddy issue? The least successful “little blue pill” commercial, to me, is the one where the man and the woman are in separate, narrow white bathtubs in the great outdoors. Someone, somewhere missed the point. One big, tacky, heart-shaped bathtub: yes. Two narrow, coffin-shaped bathtubs: not hopeful. For the past two weeks, we have been served up what I sincerely hope is the worst possible taste with our breakfast news show: male catheters. Yes, there is now a long and informative ad for home health care for those who need help getting rid of their morning coffee. While munching my buttered toast, I was given the helpful information that they even self-lubricate, as an old man slides one into his front trouser pocket. End of breakfast. Must we all be educated on such matters? If you need a catheter, won’t your doctor—or, as the current lingo goes, “health care professional”—tell you everything you need to know? I can’t figure out how we could talk about this euphemistically. If your little child asks, “Mommy, what is that man putting in his pocket?”, what do you say? Oh, take me back to the days of facial tissue and blue-liquid absorbents. I’ll squeeze the Charmin. I’ll even wear pearls and heels to mop my floor. I just woke up from a lovely Sunday afternoon nap because of a nightmare that adds a new dimension to my already-strange irrational fear. I guess we all have irrational fears. If you don’t, you should acquire at least one quickly so that we all feel normal. Some people fear heights, some fear water, some fear dogs, and all sane people fear spiders. I also fear masks and disguises. The fear of clowns is, of course, a subset of this fear. Why do people pay clowns to perform at children’s birthday parties? Do they want them to be scarred for life? My earliest memory of this condition is when I was about four or five and my older brother was having a Halloween party in our basement in Georgia. All of the teenagers were at the party, but a little costumed neighborhood friend came to our door upstairs with her mother. My mom was behind me, pushing me forward because I was backing up with dread. The girl saw that I was speechless with fear, so she pulled up her mask and said, “Look, Cheryl! It’s me!” I screamed and ran to my room. My mother still thinks that it is hysterical that I didn’t scream when the mask was on, but only when I saw her real face, but I get it. It’s as if there were two people in one, and someone I knew could turn into someone else. Real horror-movie stuff for a kid. When I was a teenager in New Jersey, I knew the guy who played the gorilla at Great Adventure amusement park. I went there on a date one time (not with him), and even though I saw him put the suit on, whenever I saw him in the park, I went the other way. When I saw him in costume, my stomach clenched up, and I broke out in a cold sweat and felt faint. I can’t help it; costumes and masks creep me out. Although I cannot find a “-phobia” name for this fear, I know I’m not alone, since movie-makers play on it all the time. 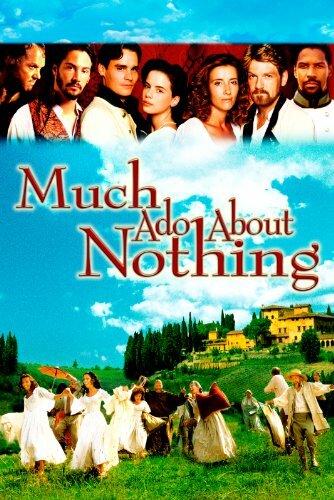 If you’ve seen Kenneth Branagh’s Much Ado About Nothing, you know the scene where they’re having the masked ball. There’s a little snippet where they show face after face whirling around to show their masks to the camera. It always gives me a little frisson of chill: beautiful, yet nightmarish. Not to mention the entire movie of V for Vendetta. Even the post office is getting in on it. I can totally sympathize with the frightened family standing out on the front porch, staring at the clown doll that someone sent them as a gift. When the super-sensible postal worker finally realizes that the clown moved while they were talking, he says, “Oh, yeah. That has to go.” I think, “Of course it has to go! It’s a clown doll! What took you so long?” Harlequin clowns are the worst. Someone gave me a hand-painted harlequin doll with a music box inside when my son was born. It was supposed to hang from the ceiling in his room. Seriously? Well, now I have a new dimension to my phobia: people made of shrubbery. Have you seen those commercials? I don’t even know what they’re for, probably something environmentally friendly. This big, tall guy made of boxwood or something roams around being eco-conscious, helping people to make good choices. The only important part of that sentence is: “this big, tall guy made of boxwood roams around.” Yikes! In my dream, I was driving through a small town behind a car with a sunroof, and that shrubby guy is standing up in the car in front of me. I think he may be in a car in the commercial, too. In my dream, I am sorry to say, the car has an NC State license plate and NC State banners streaming from it. NC State insignia and leaves are falling off this guy as he waves to the crowds. I almost hit him as he stops in the middle of an intersection, and I get stopped by the police for speeding. Now, I’m as wolfie as the next SMOM, but how could I be speeding if he wasn’t? Anyhow, the shrubby guy gets away and I get a ticket. The moral of the story is: never trust someone who doesn’t look like what they really are. It ain’t natural.